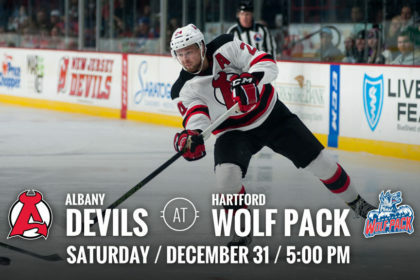 HARTFORD, CT – The Devils travel to face the Hartford Wolf Pack for a 5 pm New Years’ Eve puck drop at XL Center Saturday. 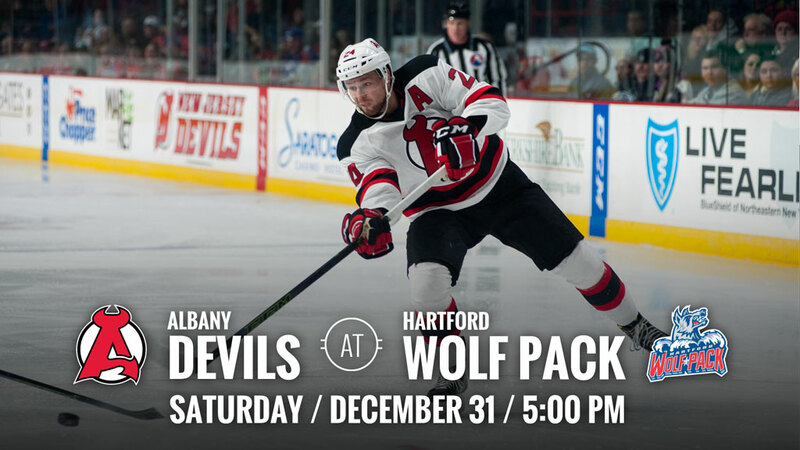 This will be the second of four match ups this season and the last time Albany will travel to Hartford. 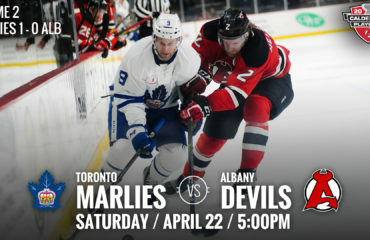 Albany is coming off a 4-2 home win against Toronto Friday. Hartford is coming off a loss, 3-2, at Springfield. Twice as Nice: In just his third game back from an upper-body injury after missing 25 games, Carter Camper doubled his season point total in Friday’s game against Toronto. 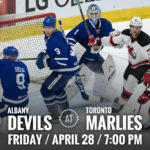 He had three points in the 2016-17 season prior to injury but came out strong with three assists to help the Devils to a victory. 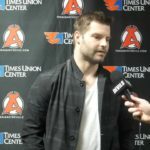 Camper is in his first year with the Devils organization. 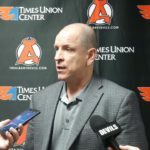 Quenneville Gets Hot: After netting two goals on Friday, John Quenneville moves to fourth in goals as well as fourth in points at the top of the rookie list for the AHL. 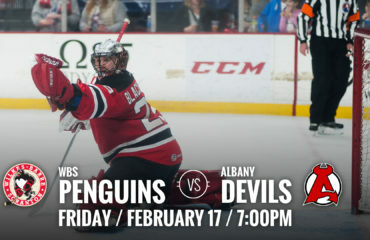 He also leads Albany in points at 25 (10g-15a). In second place is Joe Blandisi with 20 points (6g-14a). 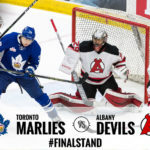 Auld Lang Syne: In AHL Devils history, they have played on New Years’ Eve on five different occasions. Their record for those outings is 3-1-1. 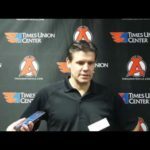 Most recently, Albany played last year in Utica on New Years’ Eve and came away with a 4-1 victory.